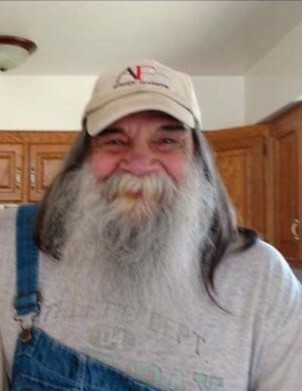 Garry L. "Chuck" Carillon, age 67, of Butler, Ohio passed away Thursday, April 4th, 2019 at Riverside Methodist Hospital, Columbus, Ohio. Services will be held at a later date. Those wishing to share a memory or make online condolences may do so by www.alexanderfhinc.com. Family suggests memorial contributions be made to Alexander Funeral Home, P.O. Box 108, Millersburg, Ohio 44654, to help defray cost. Garry was born October 3, 1951 and Millersburg, Ohio and was the son of Owen and Jean (Domer) Carillon. He enjoyed mushroom hunting and going camping. Garry is survived by children, Jeremy (Kimberly) Carillon of Michigan, John Paul Carillon II of Oregon and Shannon (Demetrius) Jelks of Wooster; eight grandchildren; five great-grandchildren; sisters Pam (Dave) Guster of Dalton, Barb (Carl) Peck of Logan, Sharon (Herb) Mackey of Killbuck, Mary (Steve) Strouse of Glenmont, Norma DeWitt of Lakeville and Kathy (Brad) Snyder of Killbuck; a brother, Dave Geog of Killbuck; his companion, Fran Taylor of Butler, and her daughter, Jennifer Linden of Ashland. He was preceded in death by his parents; stepmother, Mary (Fortune) Carillon; a daughter, Shellie Ann (Carillon) Blaisdell; and his grandparents, John and Hannah (Wolgamot) Carillon and Daniel and Emma (Lowe) Domer.